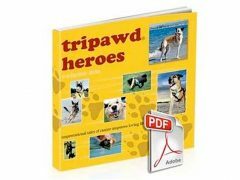 Most people begin their Tripawd journey unexpectedly and Susan Marie of Sarasota, Florida was no different. When her beloved Maggy lost her leg to canine cancer seventeen years ago, she never dreamed how it could change her life in some pawsitive ways. If you’re in the early stages of coping with a pet cancer diagnosis, this episode will give you the hope you need for better days ahead. 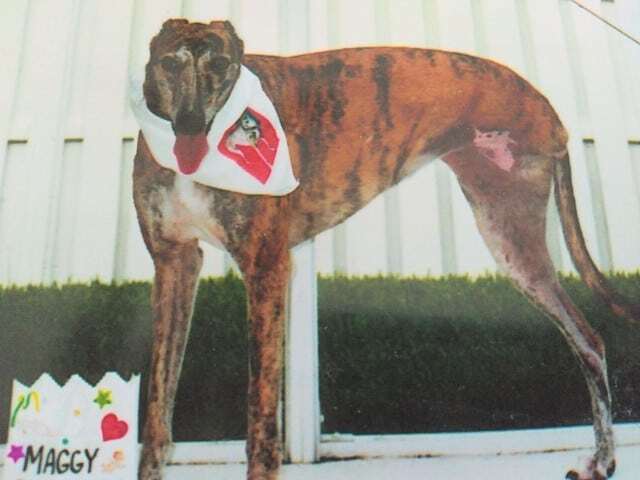 Maggy’s osteosarcoma diagnosis inspired a Greyhound cancer walk and more! As the Tripawds Community’s newest Tripawd Helpline host, Susan Marie and her current Tripawd Olive, aka The Doggy Diva, are helping animals here, in Florida and beyond. Their steadfast dedication to “giving the voiceless a voice,” as Susan Marie says, is making a difference for animals who need our help. This dynamic duo are the best example of how even a devastating cancer diagnosis can bring blessings that make the world a better place. What it was like to cope with canine cancer, when veterinary oncologists were hardly in existence? How Maggie changed her world for the better. Why she decided to be a two-time Tripawd Mom by adopting Olive, a “special needs” Italian Greyhound. The biggest lessons that Maggy and Olive have taught her. 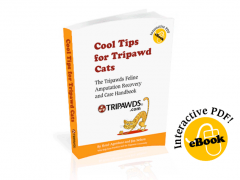 Download this insightful Tripawd Talk Radio Episode Today!